Gift items for yourself or to give to other people will be covered in this subject. Some items are even simple enough that younger people can participate in the making of the items. It's the season of gift giving at its highest. This homemade bath time treat makes a perfect gift for friends and family. You could also use it for yourself, after all you're special too! Aromatic Foods as Holiday Gifts! Breathe a breath of fresh air into Holiday Gift giving. Let your gifts be aroma's of fresh baked Banana Nut Bread, Carrot Cake Cupcakes or homemade chocolates. It’s your time to shine with the great smelling aroma of food items as gifts, this Holiday Season. Bath Truffles and Shower Scrubs- Great Gifts! In the spirit of holiday gift ideas and just plain old great bath goodies, I found and made these two recipes. One is for bath truffles and the other is for a shower scrub. Give them a try and have fun in the process! Have you ever considered what it would be like to create scented blends in a space that's contaminated and unclean? Perish the thought, with these tips you'll have a work space fit for a chemist. How do you feel about scented body care products? It seems as though everywhere you turn, scents are being added to products that are used everyday. So if scents all around you, why not create your own! Got a bridal or wedding shower coming up? Nervous about giving just the right gift? This article should give you plenty of ideas to pamper the bride-to-be. With the hustle and bustle of the season, anything that will help calm the nerves, a glass of wine, a shot of bourbon, that "green plant" you've got growing among the herbs on your sun porch, will all work. However, warm relaxing bath won't leave you with a hangover, here are a few recipes to try. Have you ever found yourself in the position of not knowing what type of gift to give to a friend or relative? Beauty products always work, especially when you can customize them for each of your friends. Here's recipe of two to help you get started. It's not easy trying to come up with ideas for Mother's Day gifts. After all most moms seem to have a lot of the things they need, at least it seems that way. Here are a couple of beauty product recipes for you to try your hand at making. This could be fun. Tis the season until January 1, for holiday beauty products and gifts inspired by Mother Nature. Pine, dried herbs, flowers and spices make the perfect materials for scented products that will relax you, refresh you and add balance to your life. Give them a try! Holiday Gift Giving, Make Mine Scented! Holiday Gift Idea? - What's Yours? Ready to kick up your creative side or better yet tap into your entrepreneurial skills? Making scented Holiday gifts is always a fun and exciting project. What better time than now to start thinking of Holiday Gift Ideas for friends and family. Holiday Gift Ideas - Scented Of Course! It's that time of the year when holiday gift ideas begin to move to the front of your thinking process. Holiday gift ideas don't have to be relegated to perfumes or soaps. A gift tin of cookies and cupcakes make great gifts. The next time you suffer from dry, chapped skin, you´ll welcome this recipe as a great way to soothe the itch and dryness! Have you ever felt the need to create a scented body product with You in mind? As the seasons change whether it’s Spring, Summer, Winter or Fall, a good body scrub is in order. Why? Because a good body scrub will make you feel lighter in weight, your skin will glow, you will release toxins from your body and your blood circulation will help with overall health improvement. Have you ever wanted to try your hand at making your own personal spray mist? You can, it's very easy to do. This article will give you the simple details of making your own blend. Have you ever tasted vanilla ice cream with warm cooked peaches on top of it? Or better yet, have you ever had a smoothie made with vanilla ice cream and fresh peaches? Great tasting combination but would you like to have the pleasure of trying them without adding one inch to your waistline? Have you ever wondered how to make your own perfume from your garden delights? 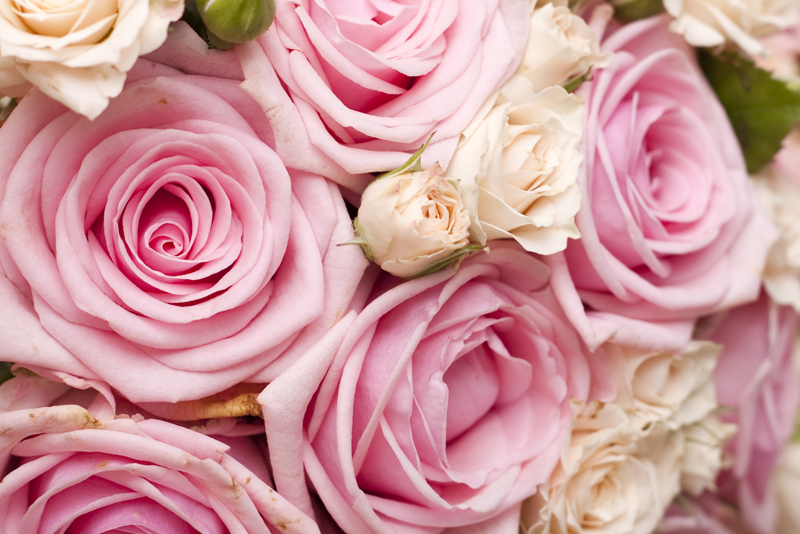 Try your hand at making rose perfume. Potpourri is one of those creative avenues used by many of us to create scents and aromas for our immediate environment. Have you created a special blend lately? Scented gifts are always a joy to receive and create. Learn how to make simple pleasures from this article. Whether it’s skin care or bath and body a beautiful scent is a welcomed aroma. Some of the most basic products can be made from ingredients that you have right in own kitchen or bathroom. Imagine ... sinking into a bath tub filled with warm water and bath salts of your favorite scent. How about what happens once you exit the tub ... is your body worthy of a silky soft body oil that soothes and smooths your skin so that it feels as soft as a baby’s bottom? There many occasions and holidays year-round and for each to be as memorable as possible, you think of unique gifts to give away to friends and loved ones. There's nothing like receiving or giving a personalized scented gift. Discover the options available for creating scented gifts. There many occasions and holidays year-round and for each to be as memorable as possible, you think of unique gifts to give away to friends and loved ones. So let your creativity take over and learn how to make scented gift items for home. Looking for a way to spark new thought? Read on and see how a visit to the local mall opened up my sense of smell .. Most people like scented gifts and more importantly they like scented gifts that are made with them in mind. So here are a few ideas that you can make and give to a special friend or lover. There’s nothing like having a “Spa Party”, but suppose you want to use naturally scented skin care products? Make your own! Join me as I show you just what your pantry holds for making your own cosmetics. We often look at fragranced items as gifts and unless you're buying one that already has a gift box, you'll be looking for a way to package it. Take a look at packaging ideas for your scented gifts. Is There An Art and Science To Soap? It’s five days and counting and you don’t have all of your gifts ready yet. Time to hit the malls? Not all scented holiday gifts have to be perfumes, soaps or candles. Open up to other creative ideas and see where your imagination takes you. Many different candles and candle making techniques are covered on this site. Mint oils are used for more than just a mouthwash. Here are a few tips for mint oil and how it's used. A tropical breeze, sandy beaches and ocean views come to mind when you hear the term Pina Colada. But what does this have to do with the sweet smell of a beautiful perfume or fragrance? Everything! It’s beginning to smell a lot like .... Christmas! Not that pine is used only at Christmas time but this is the time of year that we give it our undivided attention. If you're a do-it-yourself kind of person and into making your own beauty products, you've probably asked yourself a thousand questions about substituting ingredients in your recipes. We found three of the most frequently asked and given you their answers. Scented Body Scrubs, Something Different! Turmeric and neem oil, coconut oil and sugar ... body scrub anyone? Oh my God, my skin's feeling softer and smoother already! Create your own, here's how. Who came up with the idea of a body spray? Probably someone who saw women constantly spraying perfume on their clothing and thought what a waste. Body sprays are great for summertime scenting. They're light and airy. You can smell good in different scents throughout the week. It's the most wonderful time of the year, Thanksgiving, Chanukah, Christmas, Kwanzaa and New Year's Eve. Take a look at scented holiday gift suggestions! Got dry skin, especially on your hands? If you've tried cream after cream with no success, maybe it's time to make your own batch. Try this recipe and tell us what you think! In the world of scents and fragrance, we typically think of perfumes, body sprays and body oils. The culinary world uses scents and fragrances also. Have you ever tasted herbal infused honey? All types of soap making is covered on this site. While a lot of you are out shopping for holiday gifts thereï¿½s another set of you making those special gifts for loved ones. Scented soaps and bath salts have always been part of holiday gift items. Looking for a light summers product. Have you tried scented body powders? They keep you cool and give your body a great fragrance at the same time. Create your own! Find out how. For my chocolate lovers, here's a way to take your love to the tub with you. Imagine after a long day, you get to immerse yourself into a bath of scented hot chocolate. Learn how it's done. Bells will be ringing the glad, glad news but it’s not a Christmas to have the blues. It’s time to ring in the holiday scents of Christmas. Holidays are always a wonderful time to experience the world of scents. In the traditional world of soaps, you'll find what's offered to you on the grocery store shelves. But what if you were introduced to a whole new world of soap made with herbs, oates and spices? Tis the season! Well technically any time of the year is the season for a beautifully scented gift. But for most people “The Holidays” seem to be when beautiful scents take center stage. Have you ever worn an infused oil as a perfume blend? Didn't know you could? Learn more about infused oils and how they are used in perfume and aromatherapy. You just might become the creator of a next new perfume scent! Whether you are making or purchasing scented gift items for other people, knowing their personality at least one of them is extremely important. We often have different personalities for work and home. Discover the personality type and determine where your recipient fits.